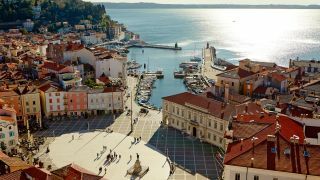 Start your day with the best cup of coffee by the sea, explore a number of cultural attractions, enjoy the waves of the sea, and finish your day with a stroll along narrow cobbled roads towards one of the most beautiful viewpoints of the bay from the Piran walls. Use the filters below and find out what this medieval town has to offer. Discover everything this medieval town has to offer.